Rendez-Vous pieces hide a bold brand of watchmaking that poetically reinterprets a number of feminine functions that have embodied the character of this collection since the beginning. This exceptional collection is made for women from around the globe who choose to make every hour of the day and night a rare and precious moment. Once again, the new Rendez-Vous Tourbillon casts a spell on dynamic women who love to surround themselves with refined pieces that glitter with understated confidence. At 6 o’clock, the tourbillon reveals its spectacularly complex system of predominantly hand-decorated gears. Seemingly suspended in mid-air, its balance wheel oscillates within the carriage to perform one revolution every 60 seconds, setting the beat of its high-precision automatic movement, the Jaeger-LeCoultre Calibre 978. 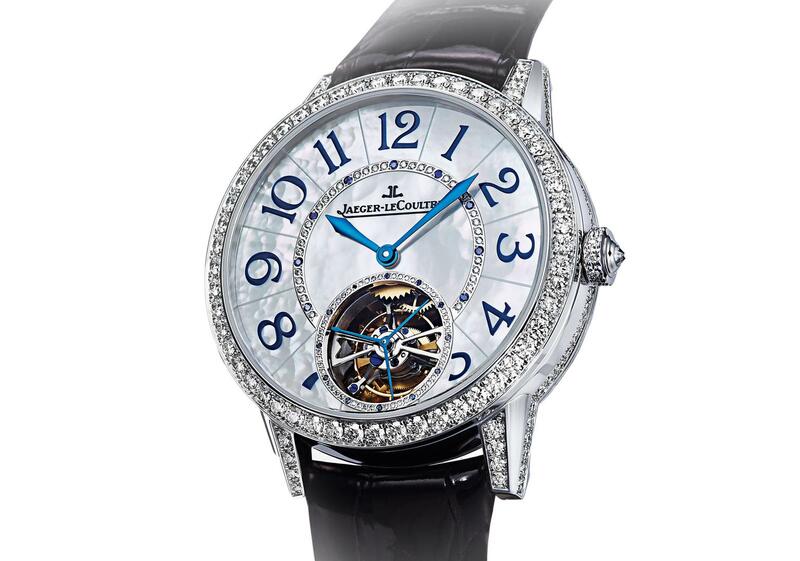 The tourbillon needs no introduction. Yet on each and every new interpretation designed by the engineers and artisans of the Grande Maison, this watch complication offers a captivating, almost hypnotic spectacle. The halo of brilliant-cut diamonds glittering on the bezel adds to this sensation, mirrored on a smaller scale in the centre of the dial and around the tourbillon. Its adornment expresses the noble heritage of Rare Handcrafts “Métiers Rares®” executed by generations of artisans under the roof of the manufactory. They include the 215 handset diamonds, which require many hours of attention within the Rare Handcrafts “Métiers Rares®” workshop. Fitted with the Jaeger-LeCoultre Calibre 809/1, these two new interpretations of the Rendez-Vous Celestial showcase an iconic function that truly expresses the collection’s name. As it marks out its constant course, the mysterious star serves as a reminder of the time of a future rendezvous. In addition to the precious gem-setting, the enamelled floral numerals and twelve constellations perpetuate the traditions of Rare Handcrafts “Métiers Rares®”. To continue the glittering spectacle of the sapphires or diamonds in the dark, these two jewellery watches come alive at nightfall. Rendez-Vous continues to invite the beholder to slowly discover constantly reinvented treasures in a range of forms. The high-precision automatic movement, precious gem-setting, refined finishes and confident aura of its floral numerals combine to make this an absolutely unmissable Rendez-Vous. MALAYSIA’S FIRST-EVER ASIA COMIC CON 2018 TO TAKE THE COUNTRY BY STORM!